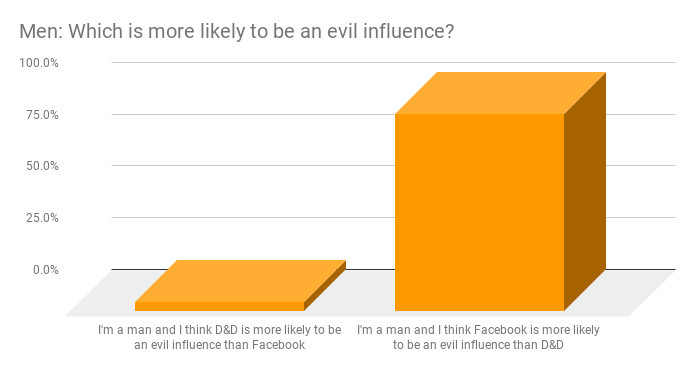 Survey results: Which is more likely to be an evil influence - Facebook or Dungeons & Dragons? You are here: Home / Geek Stuff / Survey results: Which is more likely to be an evil influence – Facebook or Dungeons & Dragons? 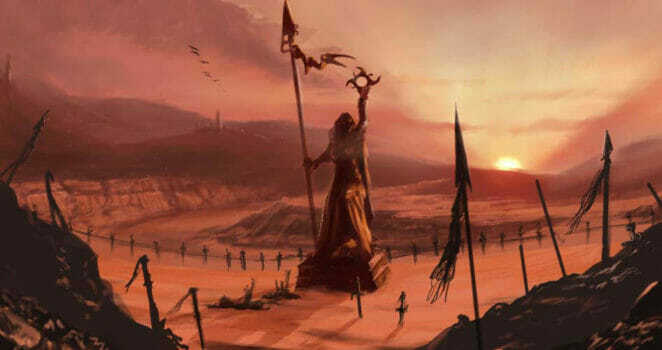 Geek Native does not think either Dungeons & Dragons or Facebook are an evil influence. Use both responsibly, and you will be fine. The chances are if you’re a geek native yourself you may agree people may misuse technology, platforms or become muddled by something they read but that doesn’t mean the problem is with the tool. There’s a time when the percentage of non-geeks visiting Geek Native is higher than usual, though, and that is while the site is running a competition. What to do with all these non-geeks on the site? 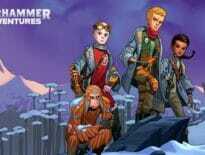 We could ask them a question that a geek native would find interesting. So, when we had a copy of Buffy the Vampire Slayer – The Official Grimoire to give away that’s what we did. This experiment isn’t a scientific survey as there was a prize involved and no rigur on vetting candidates. 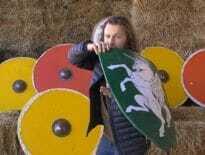 If you found the competition and have a UK address, then you could take part. However, we got over 100 responses. 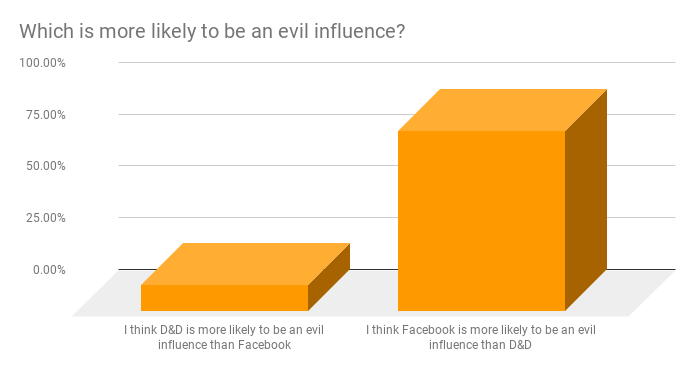 According to this poll, Facebook is far more likely than D&D to be an evil influence. 87.29% of respondents picked Facebook compared to only 12.71% who singled out the tabletop roleplaying game. In this survey, we also asked people to say which gender they identified with and we had responses from men and women. 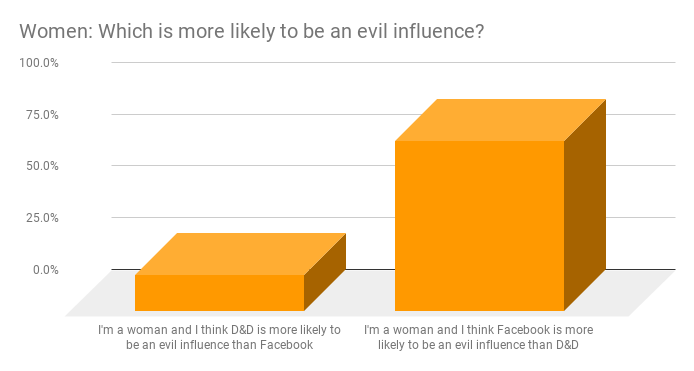 It turns out women are four times as likely to think Dungeons & Dragons is more likely to be an evil influence than Facebook compared to men. 17.8% of respondents who identify as women picked D&D in contrast to only 4.4% of men who selected the game. What do you think? Facebook or D&D? Facebook has had a rough year with plenty of scandals. They’ll be pleased to see the end of 2018. Forty years earlier, though, America experienced the ‘Satanic Panic‘ and parents worried Dungeons & Dragons caused moral conflict and worse. If you had to pick one of the two as more likely to be an evil influence would you choose D&D or Facebook? Creative Commons credit: Mirko Failoni with “Remember our Battles”. Earn 3 extra geek points by leaving a comment below and joining the Facebook Page.